Maybe you find that being in a public place is totally overwhelming. Maybe you’ve noticed that your friends, loved ones, and even acquaintances tend to unload all of their problems on you, looking for advice on what to do. And maybe you can pick up on a person’s energy so closely you begin to feel their emotions. All of this indicates that you might be an empath—someone who has the ability to feel the emotions and energy of other people. Being a highly sensitive person may seem like a burden at times, but doesn’t have to be. Being an empath is a gift that you can use to your advantage. 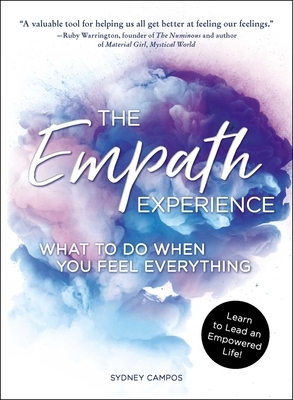 In The Empath Experience, you’ll find detailed information on what it means to be an empath and the different ways this gift can influence your life in positive ways. In addition, you’ll find supportive advice from a fellow empath on how to embrace the positive aspects of this special talent, get in touch with and understand your emotions, and tips and techniques to help you feel your best—even when someone else may be feeling their worst. "Learn to lead an empowered life with this supportive and positive guide for those who are discovering their empath abilities … There is also supportive advice on how to embrace the positive aspects of this special talent, get in touch with and understand your emotions, and tips and techniques to help you feel your best — even when someone else may be feeling their worst."